Drawing on data from the depths of the Earth to deep space, University of California, Davis, Professor Sujoy Mukhopadhyay and postdoctoral researcher Curtis Williams used neon isotopes to show how the planet formed. There are three competing ideas about how the Earth formed from a protoplanetary disk of dust and gas over 4 billion years ago and how water and other gases were delivered to the growing Earth. 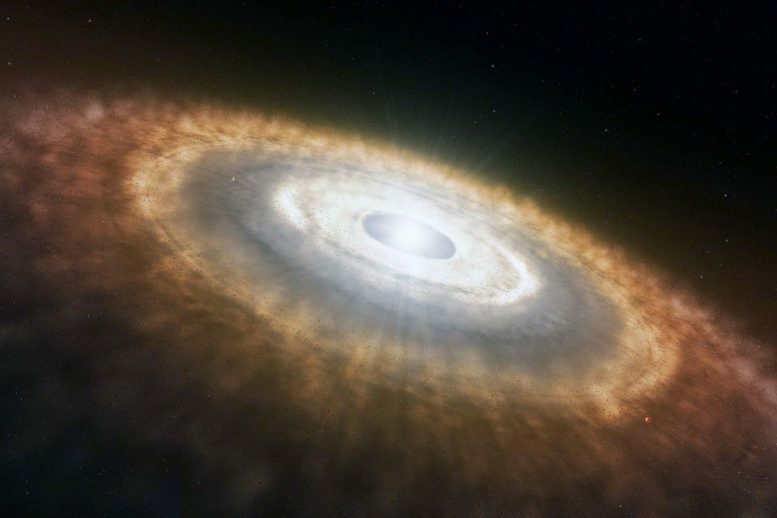 In the first, the planet grew relatively quickly over 2 to 5 million years and captured gas from the nebula, the swirling cloud of dust and gas surrounding the young sun. The second theory suggests dust particles formed and were irradiated by the sun for some time before condensing into miniature objects called planetesimals that were subsequently delivered to the growing planet. In the third option, the Earth formed relatively slowly, and gases were delivered by carbonaceous chondrite meteorites that are rich in water, carbon and nitrogen. To figure out which of the three competing ideas on planet formation and delivery of gases was correct, Williams and Mukhopadhyay accurately measured the ratios of neon isotopes that were trapped in the Earth’s mantle when the planet formed. Neon has three isotopes, neon-20, 21 and 22. All three are stable and nonradioactive, but neon-21 is formed by radioactive decay of uranium. So the amounts of neon-20 and 22 in the Earth have been stable since the planet formed and will remain so forever, but neon-21 slowly accumulates over time. The three scenarios for Earth’s formation are predicted to have different ratios of neon-20 to neon-22. The results imply that to absorb these vital compounds, a planet must reach a certain size — the size of Mars or a little larger — before the solar nebula dissipates. Observations of other solar systems show that this takes about 2 to 3 million years, Williams said. ALMA uses an array of 66 radio telescopes working as a single instrument to image dust and gas in the universe. It can see the planet-forming disks of dust and gas around some nearby stars. In some cases, there are dark bands in those disks where dust has been depleted. Be the first to comment on "Scientists Find Nebular Gases Preserved in Deep-Mantle Neon"